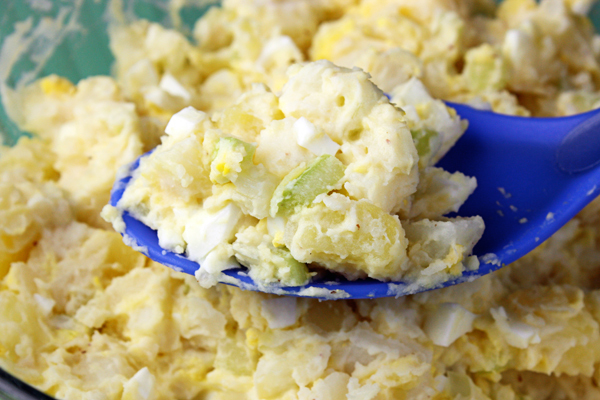 2 Comments on "Lightened Up Potato Salad"
Jenny this potato salad looked so amazing I had to make it!! OMG! It’s awesome. The way I used to make it was with red wine vinegar and vidalia onion and let that marinate for a couple hours then add the celery and hellmans light mayo. Can you use the red wine vinegar with this recipe too? Any vinegar at all will work. I used to make it with cider vinegar, too.